Paperesse: Postmodern Dream Catcher & Craft Hoarders Anonymous challenge #13—Let's cycle...up-cycle that is! Postmodern Dream Catcher & Craft Hoarders Anonymous challenge #13—Let's cycle...up-cycle that is! 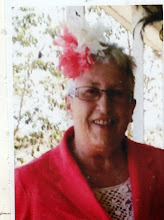 I'm so fortunate to be guest designing again for Gloria Stengel's Craft Hoarders Anonymous Challenge Blog in August. This challenge #13 is Let's cycle...up-cycle that is! "Being frugal and going green is what it's all about," Gloria says. "Show us how you can up-cycle something using 'junk' from your hoard. Most craft hoarders also hoard boxes, tins, packaging, and bits of this and that. Our mantra is, 'I can MAKE something with that!' Now is your chance! Up-cycle!" My altered art piece, Postmodern Dream Catcher, is made with an empty ribbon spool. I aged the metal tag to give it a copper patina and used a vintage look font for Dream. The pink feathers I found at my favorite outlet shop. The docrafts Madame Payraud butterflies have a 3D effect. This baby is chock full of goodies, a lady bug, a watch piece, a small perfume bottle, thread spools, butterflies—everything you need to dream. Ribbon spools are great to upcycle. 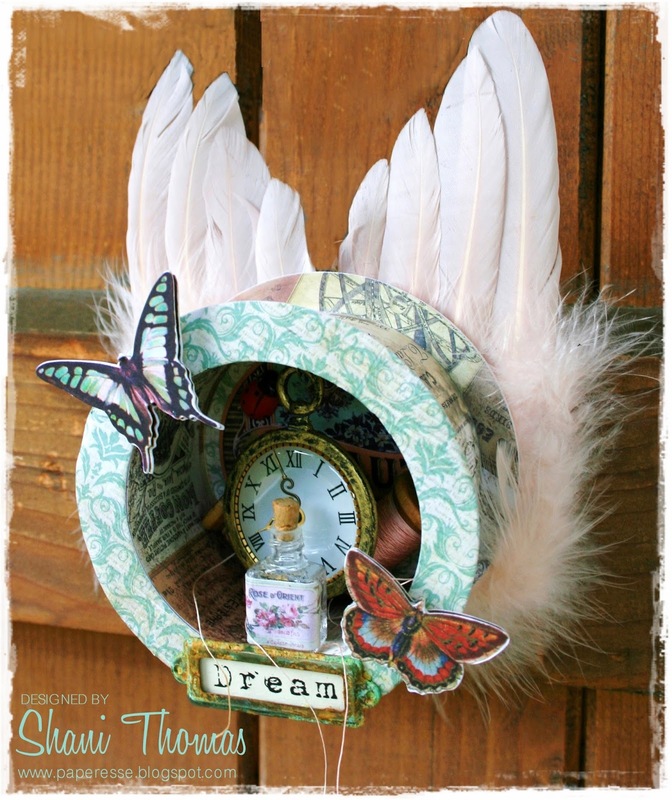 They make excellent photo frames, refrigerator magnets, altered art pieces, even bird houses. Your only limit is your imagination. You've got 'til August 17th to play along and one lucky participant will win this prize offered by Gloria. What a great piece! I love the feathers! 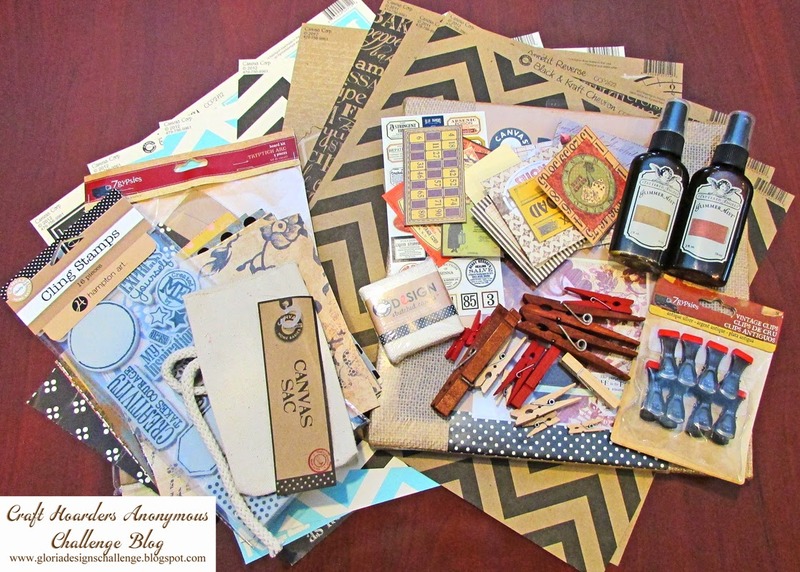 Thanks for being a guest designer at Craft Hoarders Anonymous! Oh my word! Never ever would have thought to make something so amazing out of that trash! I throw 'em out! I won't any more! This is beautiful. I love the feathers and oh everything about it! Thanks so much for being one of our guests again! I always love having you with us! You are a breath of fresh air!!! Very creative and feminine, you have the knack! Love this, it is so beautiful and all starting with a ribbon spool, who would have thought it? So good!!! Shani, this is magnificent! I love the way you used this spool...and turned it into a real treasure trove of beauty. I have saved these, thinking, "Someday....." LOL I just love the feathers and bits of twine. You are marvelous!